• Bachelor of Dental Surgery (BDS). 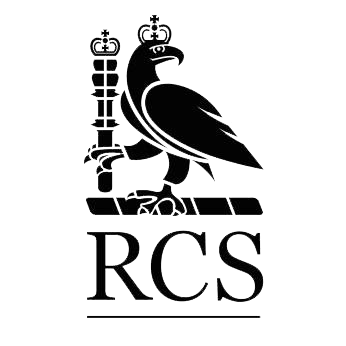 • Membership of the Joint Dental Faculties at The Royal College of Surgeons of England (MJDF RCS Eng). • Master of Science in Conservative Dentistry (MSc). • Certificate in Cosmetic Dentistry and Aesthetic Restorative Dentistry. • Replacement of Missing Teeth(Implants/Bridges). • Treatment of Tooth Wear. • Complex Full Mouth Rehabilitation. Irene graduated from Guy’s, King’s and St Thomas’ Dental Institute, with Bachelor of Dental Surgery, in 2006, and was subsequently awarded her Membership with the Royal College of Surgeons (MJDF RCS), in 2007. Since then she has continued with her postgraduate education, acquiring her Certificate in Cosmetic Dentistry and Aesthetic Restorative Dentistry, in 2009. In 2010, she was accepted at the world renowned Eastman Dental Institute to train for a Masters of Science Degree in the field of Conservative Dentistry, for which she was awarded the 3M prize for clinical and academic excellence. This training offered her experience to more complex treatments in crown and bridgework, veneers, implants and full mouth rehabilitations. Irene has worked in various practices in London over the years, treating both children and adults, offering patients a variety of treatments both general and cosmetic. She believes that preventative methods are the most effective but when it comes to treatment she likes the pain free, conservative approach. This means attempting to preserve as much of your natural tooth structure as possible. In march 2013 she was invited to work as a Specialty Dentist at King’s College Dental Institute. Here she treats patients who require more complex Prosthodontic care. 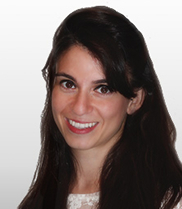 Since 2007, Irene has been involved in teaching at King’s College Dental Institute. She supervises, assists and teaches undergraduate students on clinics in all aspects of dentistry. In 2012 she was also invited to teach undergraduate students at Guy’s Dental Hospital but also to train postgraduate students at the Eastman Postgraduate Education Center. She stopped in 2015 so that she can dedicate more time to the practice. She supervises junior dentists on clinics with other members of the team at King’s College Dental Institute as part of her Speciality Dentist position there. She continues her postgraduate education by attending conferences and courses, to make sure she is exposed to the most current and effective methods and materials in the field of dentistry.